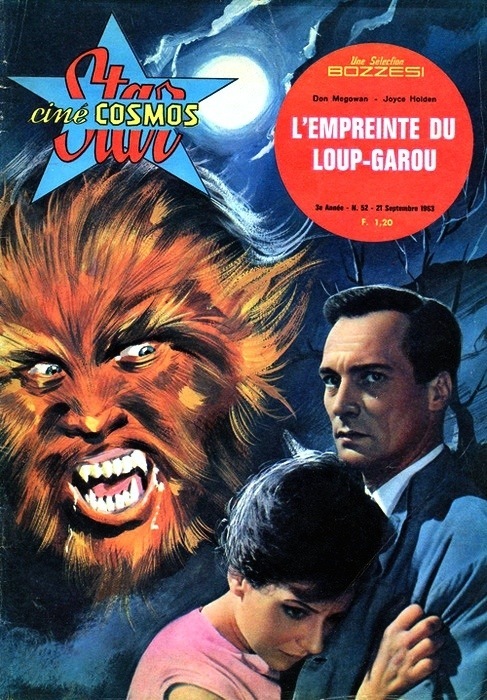 werewolves | Magazines and Monsters! 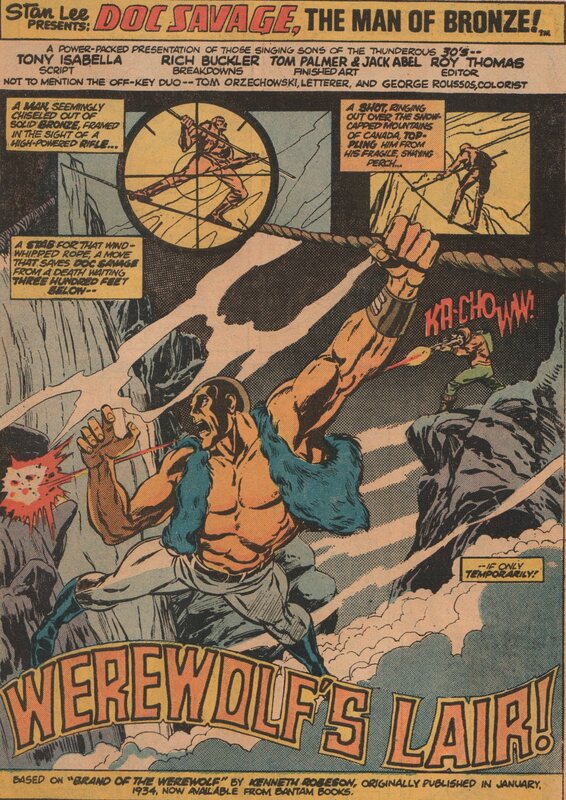 You might be cool, but you’ll never be Kull fighting werewolves cool! Sorry to burst your bubble so early on, but it’s true! 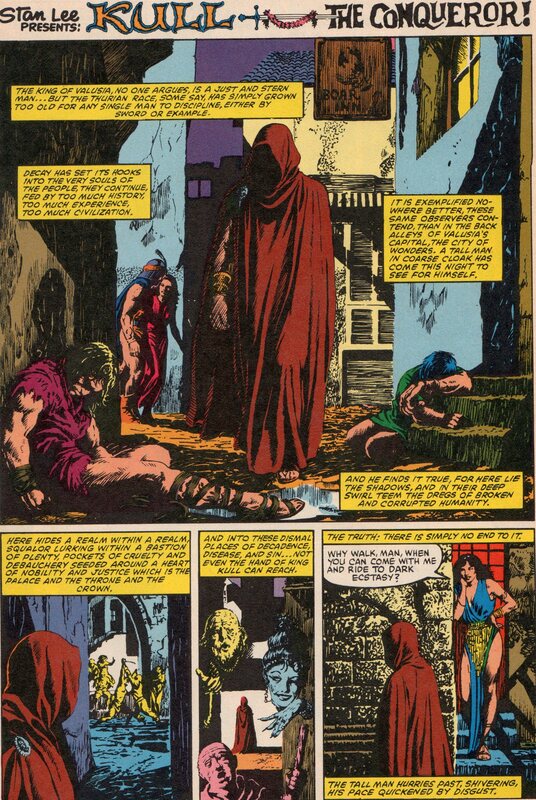 The story is great, and features Kull, trying to live the good life, and be with his woman, but of course, in typical hero fashion, evil is never far behind! When you mix fantasy and horror, you can get a great mix that spills out into something exceptional. 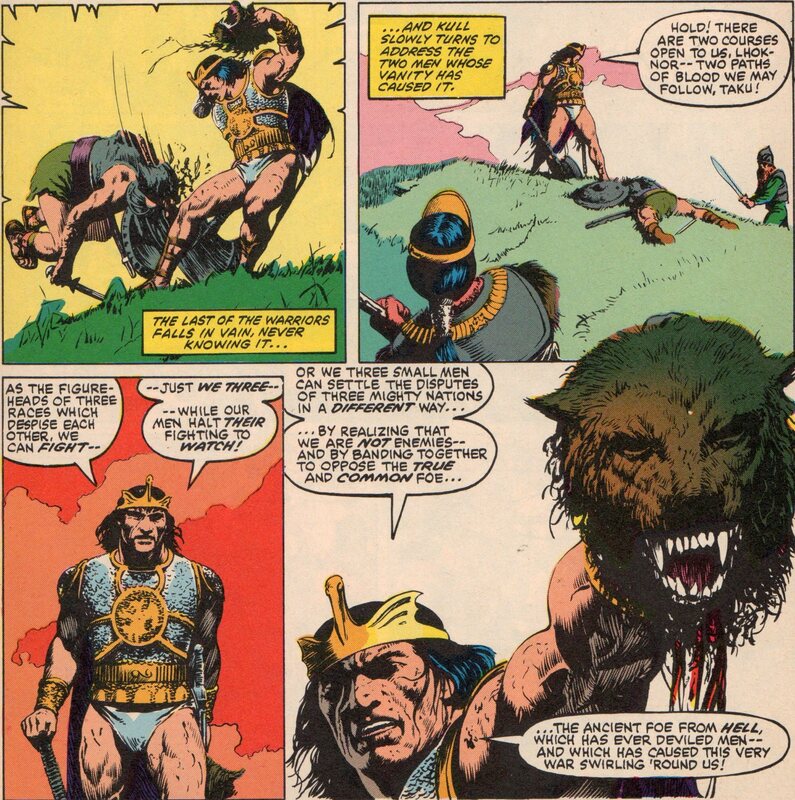 This is definitely one of those times, and we have Robert E. Howard to thank for creating the awesomeness that is Kull the Conqueror! 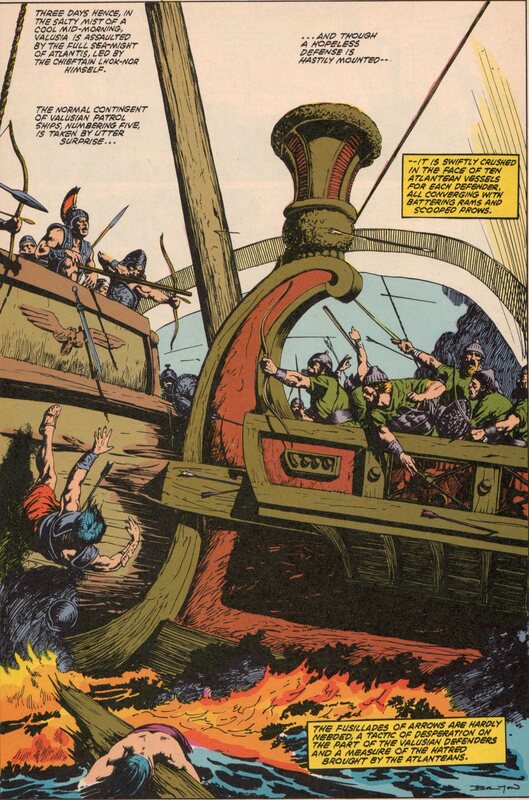 The Bronze Age of comics gave us the beginnings of some incredible writers. 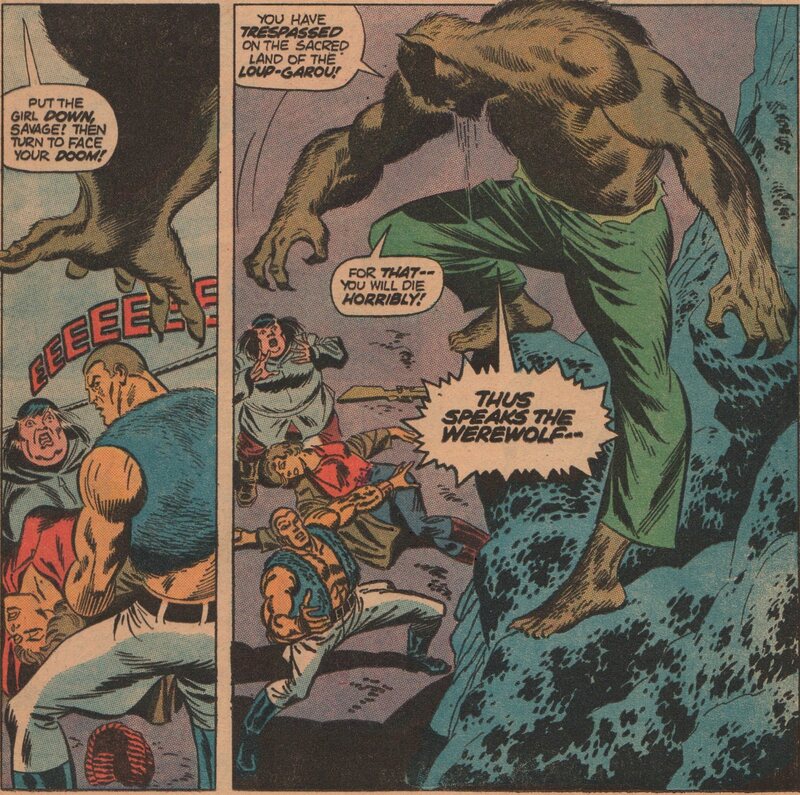 One of those that doesn’t get as much air time as he should, is Doug Moench. 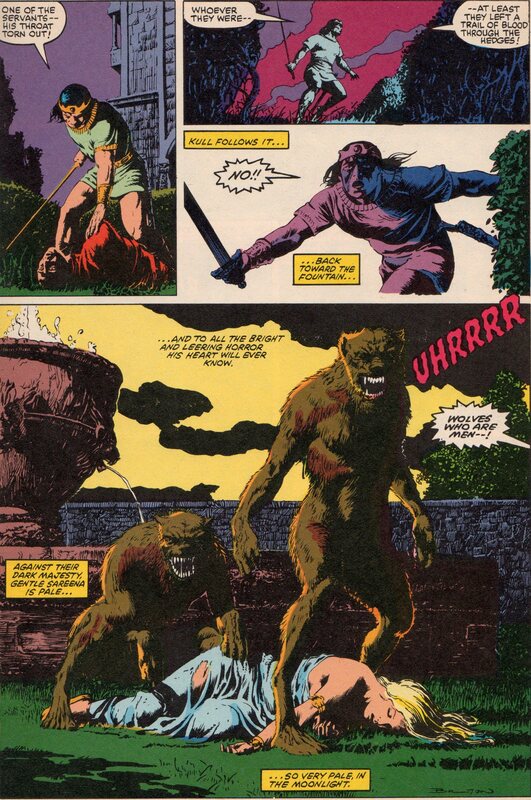 If you look at just Werewolf by Night and Moon Knight, that in itself is something to admire. 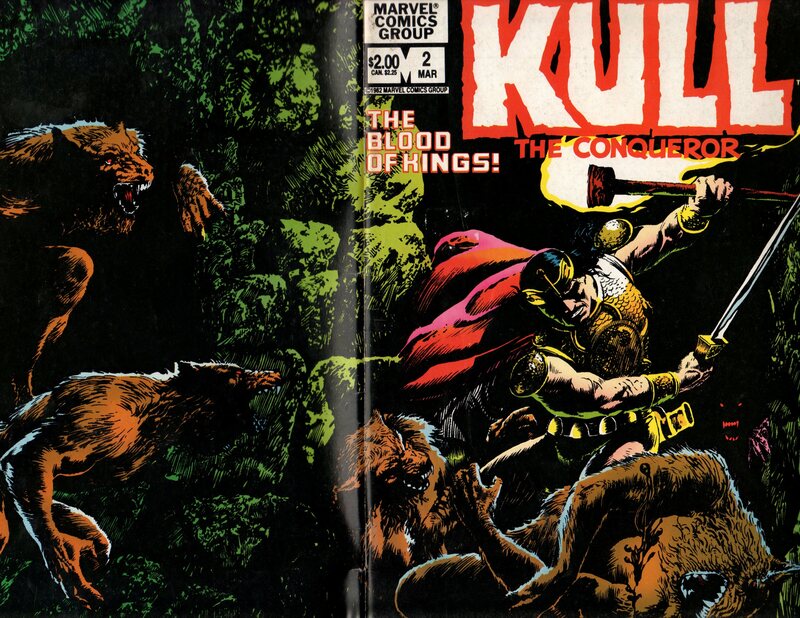 The wraparound cover and interior art is by John Bolton, and if you’ve never seen his work before, look up issues of Classic X-Men, where he and Chris Claremont did supplemental stories in the back pages of that series for a while. 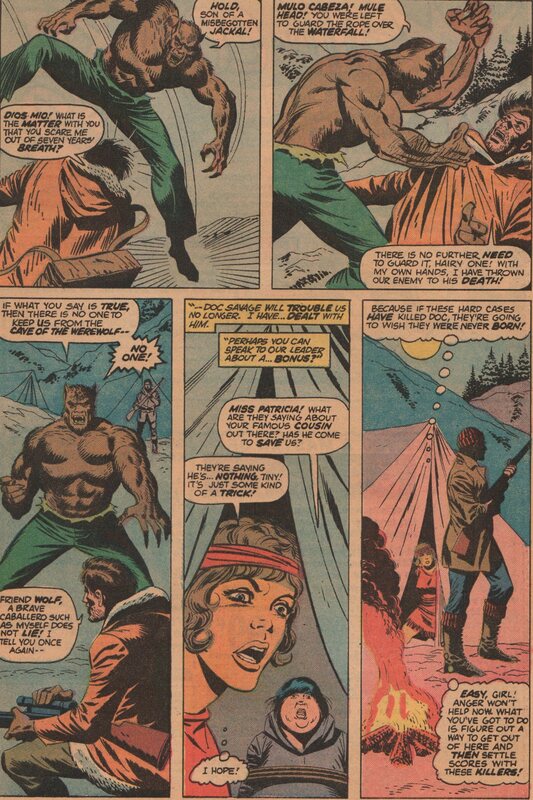 Joe Rosen on letters, Christie Scheele (along with Bolton) on colors, and Ralph Macchio editing, round out the creative team on this tale of the supernatural! 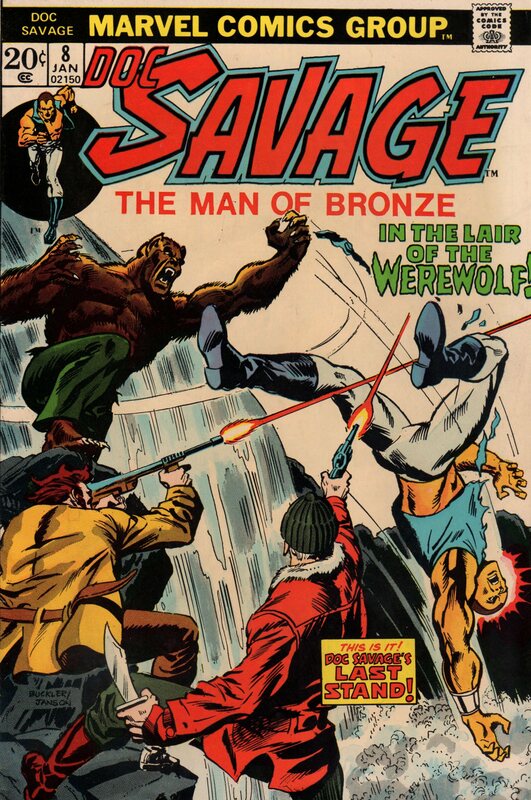 An alcoholic Gary Busey, a pretentious Corey Haim, and a bloodthirsty werewolf…need I say more? 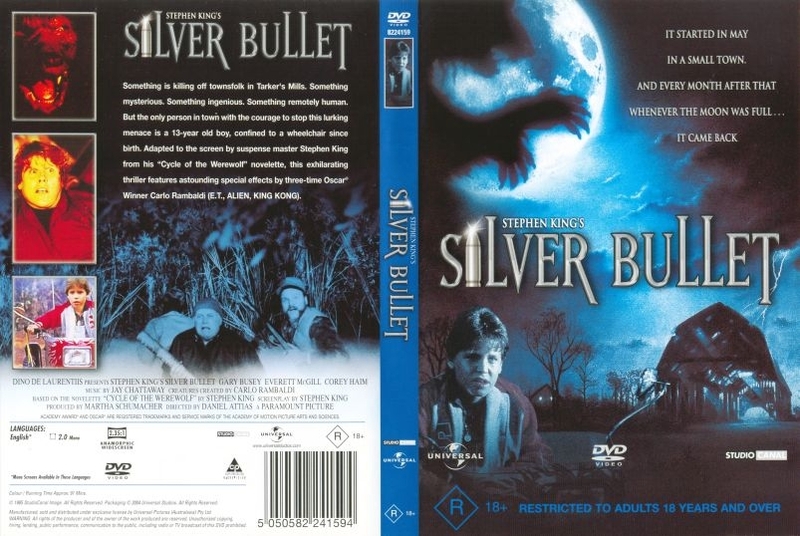 Of course not, but I will anyway, when I present this classic film from the 1980’s, Silver Bullet! Back in the day, this film was scary, and had two big names to get people out to see it. It might not hold up as well now, but it’s still worth checking out and in my humble opinion, owning as well. Let’s get down to the plot! 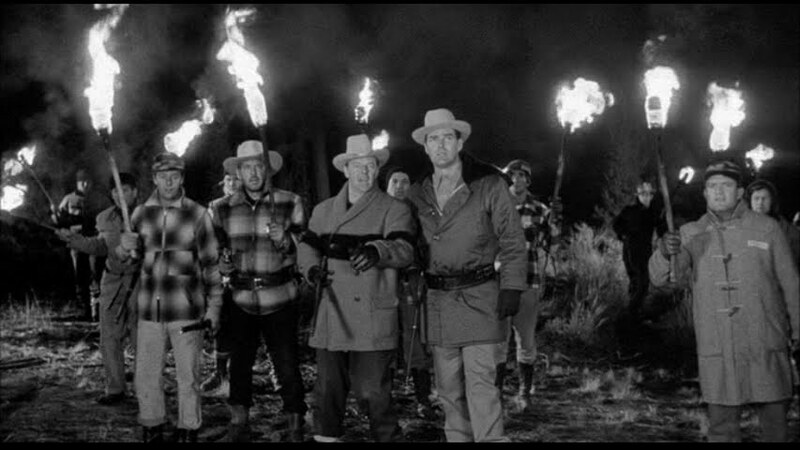 The film opens with a drunken railroad worker, trying to finish a job one night. As he makes his way to the tracks that need clearing, a noise startles him, and before you know it, he’s beheaded by a beast. A howl is heard throughout the town, and everyone gets an icy chill up their spine. As we turn to the main character, Marty (Corey Haim- who’s playing a paraplegic), we see him and his friend, Brady (Joe Wright), as they concoct a plan to scare Marty’s sister, Jane (Megan Follows). They not only scare her, but the fright causes her to fall into a huge puddle, and ruins her new dress and pantyhose. Later on that night, Marty apologizes, and gives her the money for a new pair of stockings, that were also ruined. It’s here, that we see the typical relationship of siblings at this age, and it really cements the bond they share. That night, a local woman, who’s contemplating suicide, gets a visit from the same beast that killed the railroad worker. 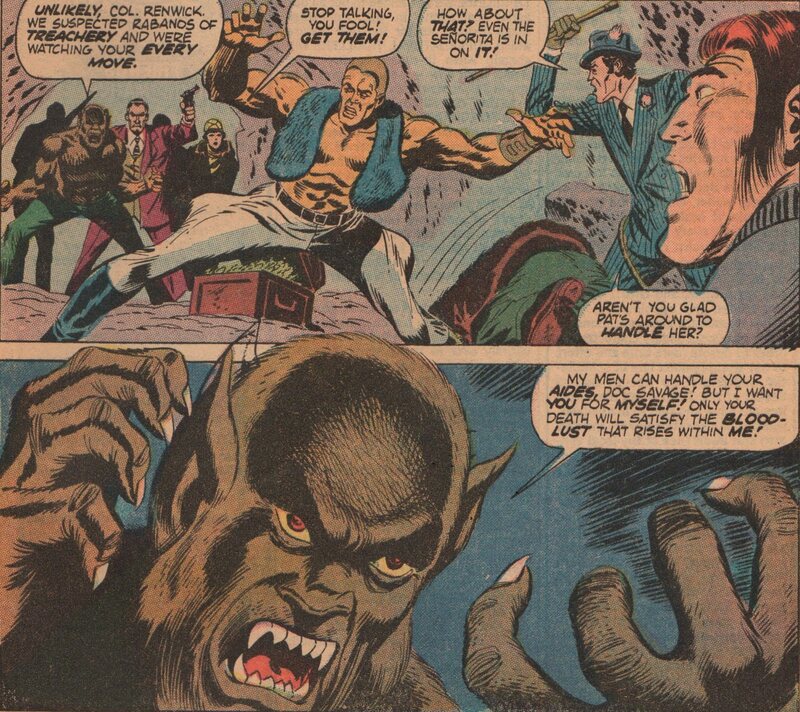 The beast violently kills the woman, and the sheriff, Joe Haller (Terry O’Quinn) has another death on his hands. 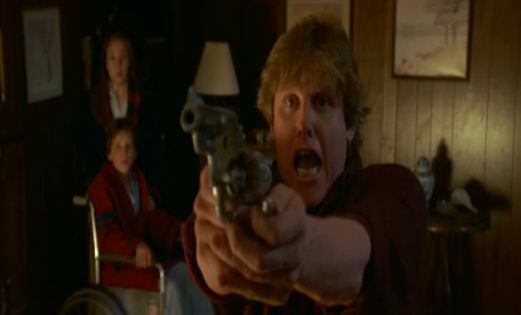 Later, school is over for the summer, and Marty’s Uncle Red (Gary Busey), has come for a visit. Marty’s mom isn’t too happy with him, as he’s a bit of a drinker, and getting his third divorce. He and Marty share a bond though, and Uncle Red then has an argument with Marty’s mom about his drinking around Marty. That night, a neighbor ( a few miles away) is getting drunk, but hears some noise out in his greenhouse. The man thinks it’s kids busting up his property, so he goes out there to teach them a lesson. The lesson is taught to him though, and he gets ripped apart. 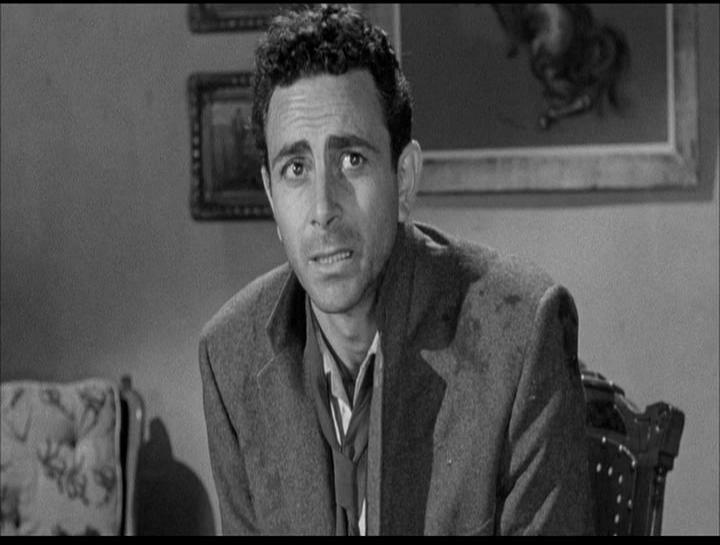 With another murder, the townspeople begin to panic, and things are getting tense. Marty and his friend Brady decide to go to the park and fly kites. 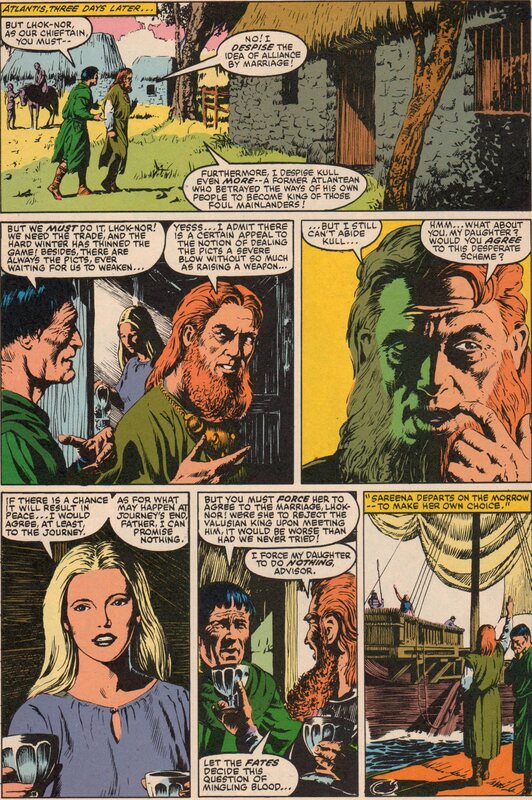 The day grows old, and Jane is sent out by her parents to find Marty. He and Jane then make a quick exit for home, and asks Brady if he’s coming too. Brady tells him he’s staying for a while, and Marty can sense something is wrong. He leaves his best friend there, and it will be the last time we see him alive. At the local bar, Andy Fairton (Bill Smitrovich), a local business owner and exuberant gun owner, tells the crowd that the local sheriff isn’t getting the job done, and that they should take matters into their own hands. 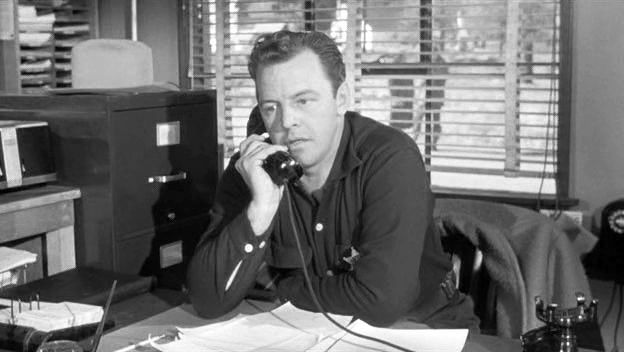 Just as he and the Deputy are about to get into a fist fight, Brady’s father walks in, and asks if anyone has seen his son. At Brady’s funeral, Marty is having a tough time dealing with all of this craziness. Reverend Lowe (Everett McGill), tries his best to calm down the townspeople, but it’s having little effect. Back at the bar, Fairton is riling up the crowd again, and this time, they intend on going after the “guy”, who’s doing all the killing. Reverend Lowe attempts to stop them, but they drive right past him. The vigilantes split into groups, and start combing the area. In a thick patch of forest, it’s very foggy. So much so, that you can barely see in front of your own face. As they creep through the wooded area, they begin to hear some animal-like noises. 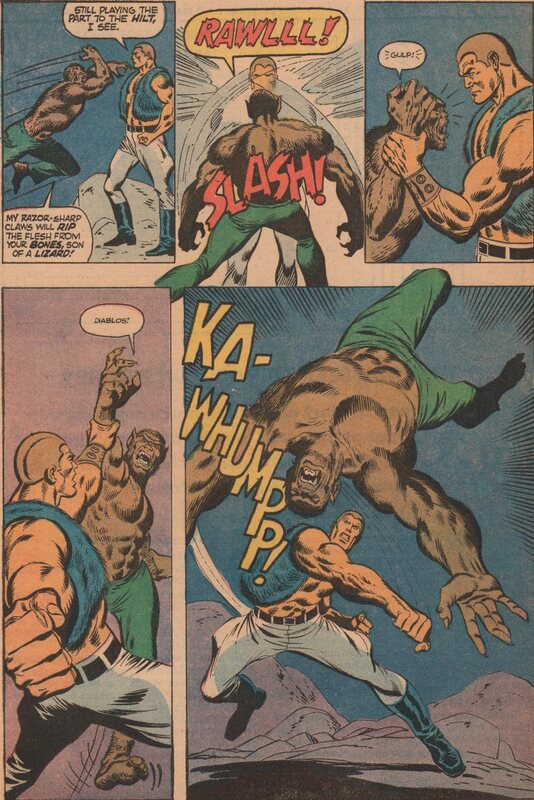 The mood turns to pure fear, and the beast grabs its first victim, ripping half of his face off! 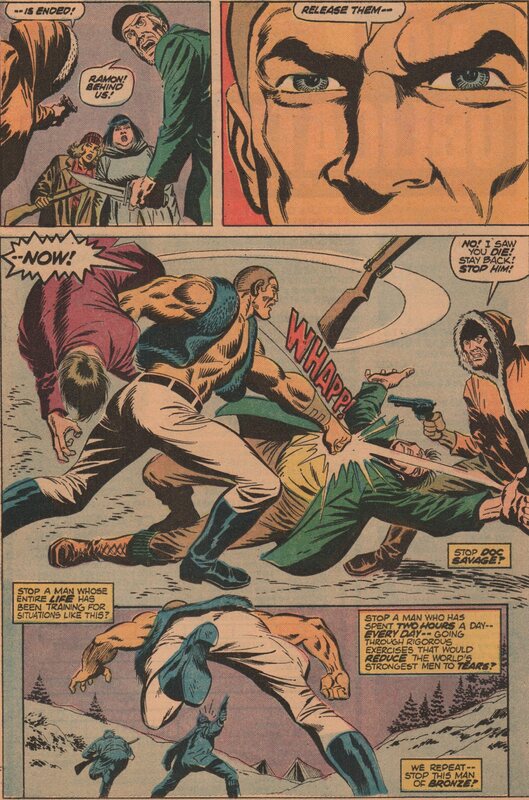 Two more men meet their maker this night, and that about wraps up the vigilante idea. We then see Reverend Lowe, once again telling the people all will be OK, but something different happens. 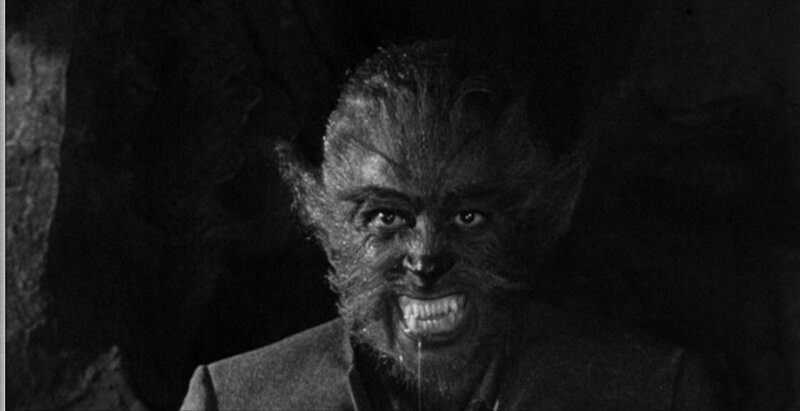 Suddenly, the congregation begins to turn into werewolves, and then Lowe wakes up from a nightmare. As the Fourth of July approaches, Marty is mad that the local fireworks have been cancelled, and the carnival as well. Uncle Red won’t let Marty down though, so buys some illegal fireworks, and gives them to Marty on his way out-of-town. Later that evening, Marty climbs down the lattice, and into his motorized wheelchair. He heads over to a pond nearby, and begins setting off the fireworks from Uncle Red. Some motion in the wooded area nearby spooks Marty for a second, and the next thing you know, the beast jumps out from the woods, and makes a mad dash for Marty! Marty quickly grabs a bottle rocket, lights it, and aims it at the beasts head. It fires off, and hits the creature in the right eye, stunning it long enough for Marty to get out of there, and back home. Marty immediately calls Uncle Red, but he’s still half drunk, and sleeping, so he blows him off. Marty tells Jane the next day, because he realizes that no adults will believe his story. Jane then combs the town looking for a person missing their right eye. She’s collecting recyclable items for a charitable organization, and hits up everyone she can, all the while searching for this person missing an eye. She ends up seeing nothing out of the ordinary, and then takes her cart of bottles and cans to Reverend Lowe’s parsonage. I’m going to stop here for those who haven’t seen this film yet, but rest assured that the secret will be over at this point about who the killer is. The part that keeps you in suspense for the rest of the movie is the fact that you know at some point, the killer is coming for Marty! 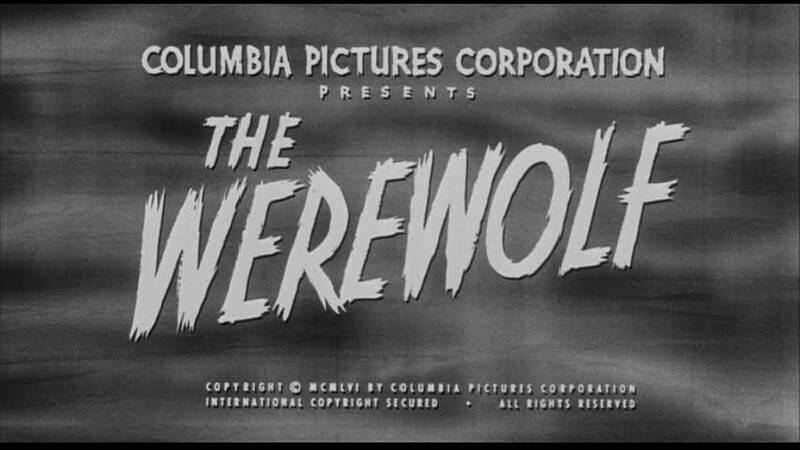 As I said above, this film is still pretty cool after all these years, and only the werewolf scenes (up close) seem cheesy now. Gary Busey gets a lot of flack, but he was right on the money in this film. Corey Haim did a good job as well, and really was convincing playing a paraplegic. I can’t imagine how tough that would be literally and from an acting standpoint either. The music score was quite good too, as well as the cinematography. 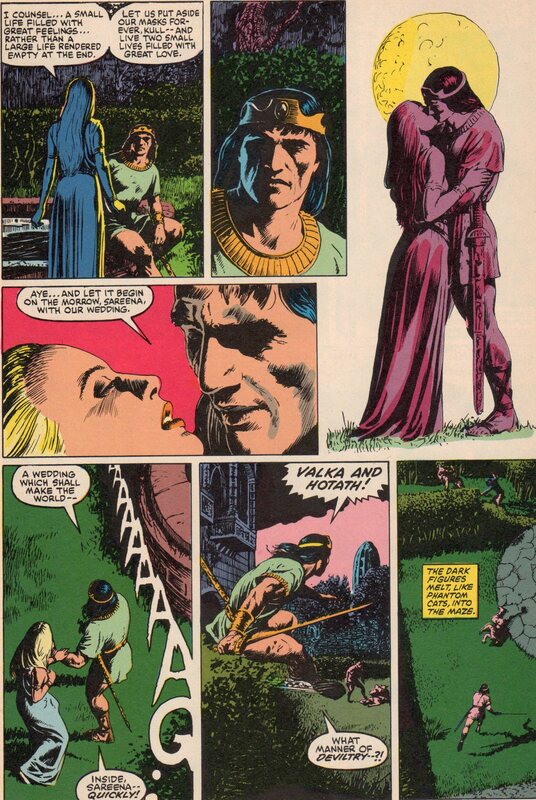 There were a couple of darker scenes that could’ve used more lighting, but that’s more of a nit-pick than anything. These more old school horror flicks do something newer films don’t understand. When it comes to death scenes, the phrase “less is more’ is absolutely true. Most viewers imaginations can cook up something just as visceral if not more than what’s usually shown, and even if it cannot, sometimes people get turned off by some of the explicit scenes too. Overall, I still give this film pretty high marks even almost thirty years later. 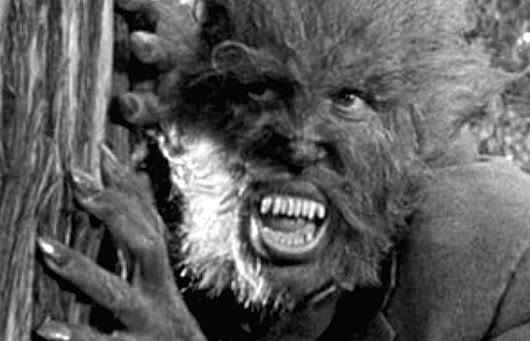 The performances and the scenes with the creepy build-up to the werewolf appearances are still solid. It helps when the film has Stephen King attached to it as well. 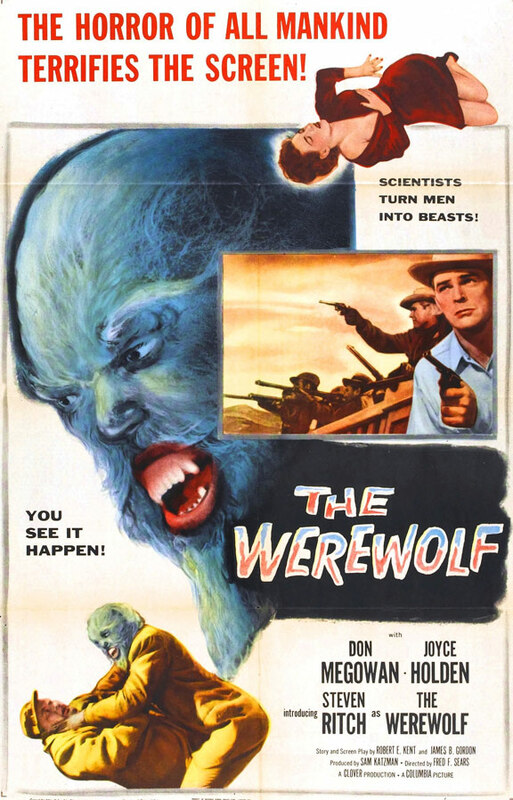 You see, he wrote the novella “Cycle of the werewolf”, and King also wrote the screenplay. The dude knows how to make a scary movie! Definitely add this one to your collection, or at bare minimum rent or stream it some night and enjoy!